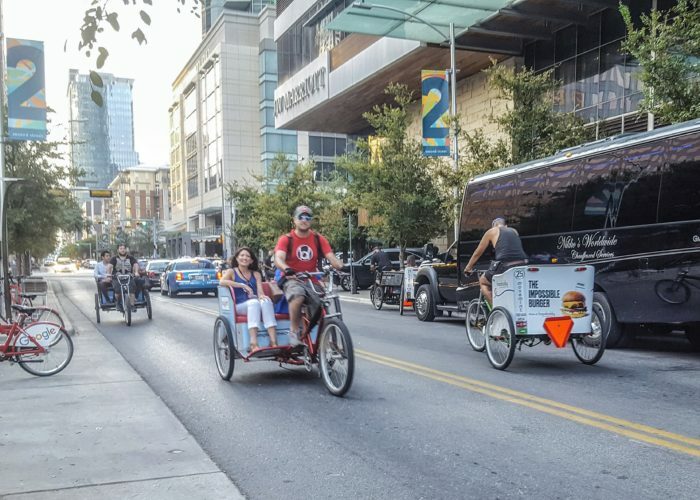 Movemint was chartered to provide its attendees free rides from the J. W. Marriott downtown to Bangers, in the Rainey Street District. 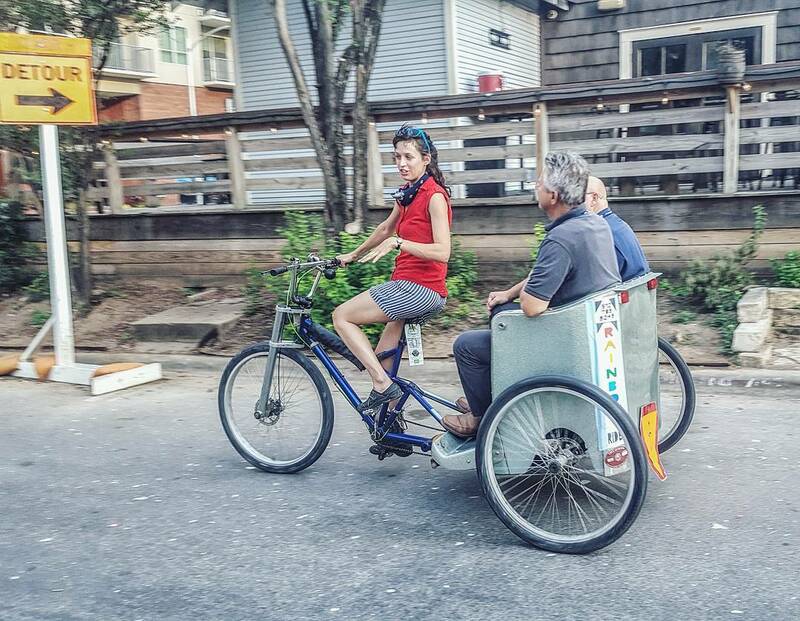 They reserved 25 pedicabs to provide free rides between the two locations from 6 to 7 PM. A reasonable estimate is that we provided between 75 to 100 rides.